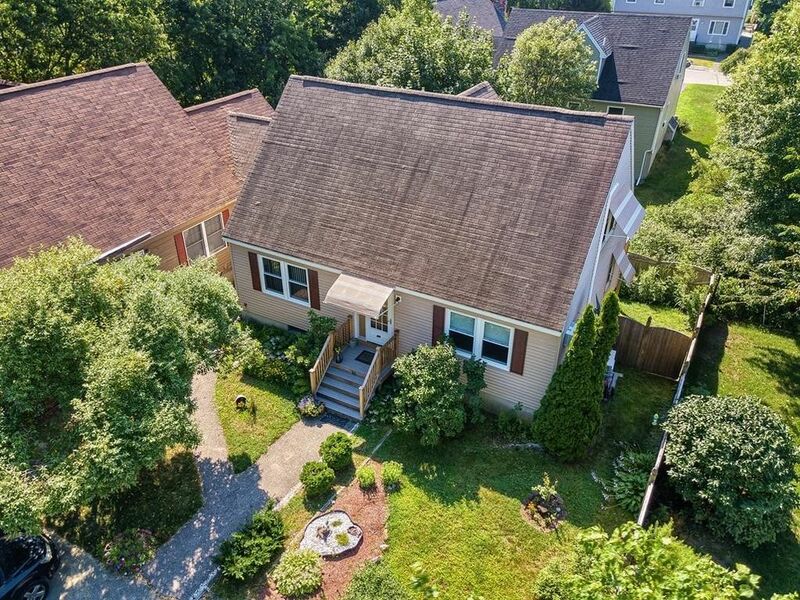 Semi-detached SINGLE FAMILY-STYLE TOWNHOUSE located at end of a cul-de-sac only 1/4 mile from Haverhill High School & less than 1 mile from Interstate 495. This 1,538 SqFt, 3-Bedroom, 2 Full Bath Cape-style Townhouse is connected to the neighbors only by an enclosed porch making it LIVE & FEEL MORE LIKE A DETACHED SINGLE FAMILY HOME. --- NAVIEN super condensing efficiency gas combination boiler provides Hot Water Baseboard Heat & Hot Water. --- Vinyl replacement windows throughout --- A Fujitsu MINI-SPLIT SYSTEM (cooling & heating) in the 2nd floor Master Bedroom, combined with a traditional wall-unit air conditioner in the first floor living room provide cooling for the home. --- Mass Save insulation makes this home energy efficient --- A large, wooden deck overlooks a private, fenced-in rear yard. --- Updated Kitchen, Baths & Electric --- Oak hardwood flooring on the first floor --- Heated Sunroom --- Large unfinished basement for additional living space and storage. Directions: Hilldale Ave to end of Acorn Street. #52 is unit on the RIGHT.